Diastema closure is a naturally occurring gap in the tooth row, most commonly between the incisors and first premolar. 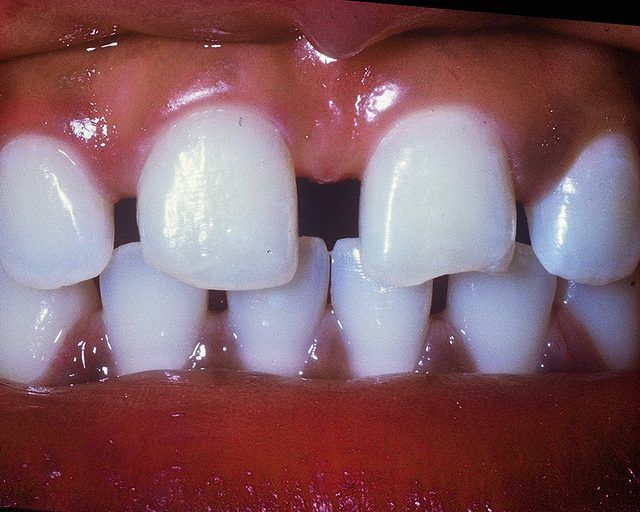 A diastema creates a dark spot within a smile as the darkness of the back of the mouth shows. It is also known as gap closure. Diastema is an adjustable dental condition. This includes traditional braces, Invisalign, or direct dental bonding to make the teeth wider and thus fill up the space. Tooth gap closure treatment of the teeth can be done using several methods like orthodontics, composite bonding, or porcelain veneers for optimal aesthetic results. Some people get braces, which move the teeth together. Often, no matter where the diastema is, you must wear a full set of braces on both your upper and lower teeth. That is, because moving any teeth affects your entire mouth. If your lateral incisors are too small, your dentist may suggest widening them using crowns, veneers or bonding. Tooth bonding provides one way a dentist can close the teeth gap. Diastema bonding can be placed on the two teeth that lie on each side of the gap so to reduce the gap's overall width. Depending on its original size, a dentist and patient might decide to fill in a diastema just partially or else close it all of the way. A diastema that takes place because of a mismatch between the teeth and the jaw does not have symptoms. If you have a space because you are missing teeth, you might need more extensive dental repair. This might include dental implants, a bridge or a partial denture. The major advantage of this procedure is that most of the person’s original tooth structure is maintained. Orthodontics treatment is very useful to maintain the diastema closure. Thangam's dental care is a multi speciality dental clinic situated in the heart of Chennai city, with all latest equipments and providing all types of treatment modalities. Thangams qualified dentists helps you to get a new look to your face through gap closure treatments. How to Get a "Hollywood smile"